Designed and Created with Divine Inspiration and Love, this very unique 33 Angelic Crystal Therapy Deck, contains 13 Crystal Cards for Guidance from the Heart of the Earth, 10 Angel Prayers with the Archangels, and Crystal Guardians, and 10 Positive Chakra Affirmations, for complete all round healing of the Mind, Body, and Spirit. A 44 Card Deck of Specially Commissioned Tarot Card s. FORMAT : Paperback. 2019 Calendars 2019 Diaries 50% OFF SALE! by Diana Cooper (NEW). 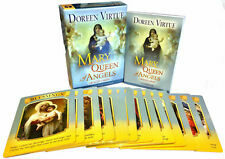 There are 52 Angels of Light Cards ( 2 Instruction Cards), each of which represents a different angel quality. Read the cards for guidance, inspiration, and a simple to use affirmation. He has appeared on Oprah, Larry King Live, Dr. Phil, Coast to Coast, and many other programs. He is also the successful creator and producer of CBS’s long-running series Ghost Whisperer, starring Jennifer Love Hewitt. (This refreshingly contemporary take on Tarot is equal parts gorgeous art book and thought-provoking spiritual touchstone. size) 18 x 13 x 2 cm. (Date) 2015. (ISBN) 9781452141954. weight) 375g. (Dust jacket) Picture cover / no jacket. 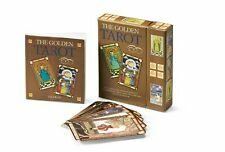 This exquisite deck brings in all the archetypal symbols of the Golden Dawn and the Renaissance tarots. With this full deck of 78 cards and a full-colour, step-by-step guide, you will be reading cards in just a few hours. 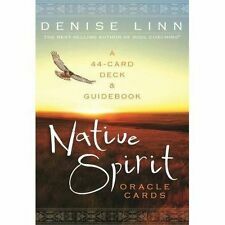 Native Spirit Oracle Cards profoundly deepen your connection to the mysterious, natural forces around you. by Denise Linn (NEW & Sealed). Native Spirit Oracle Cards. 2019 Calendars 2019 Diaries 50% OFF SALE! It might surprise you! REMIND YOURSELF HOW AMAZING YOU ARE WITH THESE BEAUTIFUL AFFIRMATION CARDS. Diana Cooper. 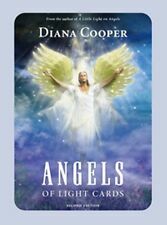 Approach the use of the Angels of Light Cards with reverence. Angels are high Spiritual beings. Angels are willing and able to help us in many ways throughout our lives, all we need to do is call on them and they will respond.Allow these cards to help bring them into your life. 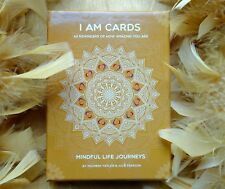 OWN YOUR OWN POWER Cards - Intuitive Colours To Illuminate Your Soul Purpose. Understand You and Breakthrough to The Future. Divine Inspiration - Angelic Crystal Therapy Cards. Designed and Created with Divine Inspiration and Love, this very unique 33 Angelic Crystal Therapy Deck, contains 13 Crystal Cards for Guidance from the Heart of the Earth, 10 Angel Prayers with the Archangels, and Crystal Guardians, and 10 Positive Chakra Affirmations, for complete all round healing of the Mind, Body, and Spirit. Authors : No Author. Product Category : Books. Binding : Paperback. Condition : Very Good. Signed : False. Title: Lifesurfing: Your Horoscope Forecast Guide 2015. Title : Lifesurfing: Your Horoscope Forecast Guide 2015. Authors : Olliver, Victor. Condition : Good. Product Category : Books. List Price (MSRP) : 8.99. The book translates Who is your Guardian Angel, it's in very good condition and in Slovak language. Diana Cooper. Angels are high Spiritual beings. Angels are willing and able to help us in many ways throughout our lives, all we need to do is call on them and they will respond. Approach the use of the Angels of Light Cards with reverence. 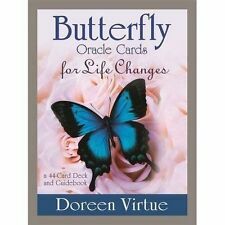 With the Butterfly Oracle Cards for Life Changes, Doreen Virtue will help you manage and understand any changes you are experiencing. 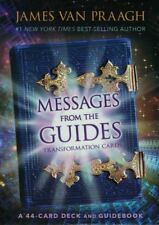 Each of the 44 cards features a gorgeous butterfly-and-flower image - because who better than these winged creatures to demonstrate the blessings within transformation?. Don’t forget to check with neighbours / sorting office / outhouses if you are out a lot! About Blackwell’s. LEGEND OF THE ARTHURIAN TAROT. BY ANNA-MARIE FERGUSON. A KEEPER OF WORDS. PUBLISHED BY LLEWELLYN IN THE USA IN 1996 (ISBN: 1 56718 266 6). 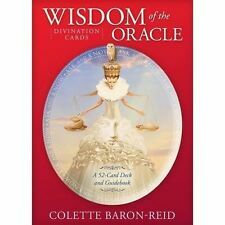 Wisdom of the Oracle Divination Cards Ask and Know by Colette Baron-Reid 9781401946425 (Cards, 2015) Delivery UK delivery is within 3 to 5 working days. International delivery varies by country, please see the Wordery store help page for details. By Patrick Gamble. The Spirit Oracle. signed first edition. 44 beautifully illustrated cards plus guidebook. A very good copy ofCELTIC ORACLES: A Powerful System for Spiritual Growth & Divination by Rosemarie Anderson PhD. Whispers Guidance Cards for Romance includes - 70 Guidance Cards. Hay House published. This is what these cards aim to do. If a card doesn't resonate with you, ask yourself why. 1 Deck Goddess Power Oracle Cards & Guide Book by Colette Baron-Reid. 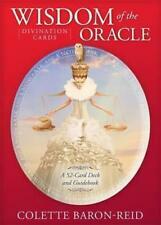 Striking, elegant interpretations of 52 goddesses from cultures all over the world await you in Goddess Power Oracle. PURPLE SILK READING CLOTH -Silk is a natural fibre. Geshe Wangyal The Jewelled Staircase. Softback Book 1986. 176 page softback book. Published in 1986 by Snow Lion Publications. Book is still well bound. BY NIGEL JACKSON & SILVER RAVENWOLF. A GUIDE TO RUNE ORACLE CARDS. THE RUNE MYSTERIES. PUBLISHED BY LLEWELLYN IN THE USA IN 1996 (ISBN: 1 56718 364 6). Soulcollage Evolving An Intuitive Collage Process for Self-Discovery and Community by Seena B Frost 9781592750214 (Hardback, 2010) Delivery UK delivery is usually within 10 to 12 working days. International delivery varies by country, please see the Wordery store help page for details. Pendulum Power, Nielsen, Greg & Polansky, Joseph & Joseph 1981 First Edition. Condition is Very Good. Dispatched with Royal Mail 1st Class. Welcome to our online bookshop Free uk postage , fast despatch , despatched overseas too plus 10% goes to canine charities More items listed nearly every day Many thanks. This essential guide also includes a section on crystal skulls, crystal beings, Madagascan stones, and how to work with the 'new' chakras, such as the Soul Star and Manifestation chakras, that are stimulated by the powerful crystals featured. Here you will find many practical excercises, I Ching divination in the mind, breathing experiences and visualisation of coloured vapours. In this book you will find a study of the divination system known widely as the I Ching, but here presented with all its magick intact and in a totally unique way. By Cheryl lee Harnish. 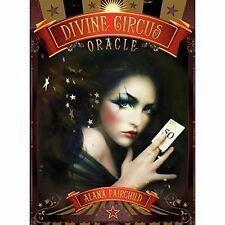 Divine guidance cards. R e t u r n t o s p i r i t.
Findhorn Insight and Setback Deck from Intuitive Solutions® (with Angel® Cards). Condition is Like New. Dispatched with eBay delivery – Shutl 1 day. EACH CARD A MIRROR OF SELF AND SOUL. HOW TO WORK WITH LANGUAGE OF SYMBOLS,DREAMS AND ARCHETYPES. 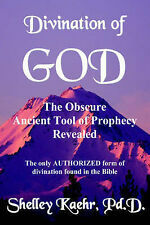 Angels Divine Messengers & Personal Guardians - Spiritual Book. Condition is New. Dispatched with Royal Mail 1st Class. THE ANGEL ORACLE BY AMBIKA WAUTERS.WORKING WITH THE ANGELS FOR GUIDANCE INSPIRATION AND LOVE. ISBN : 1840813792. Authors : Andy Baggott. Product Category : Books. Binding : Paperback. Condition : Very Good. Publisher : ANNESS PUBLISHING LIMITED. How will I know it has been sent?. About Blackwell’s. Don’t forget to check with neighbours / sorting office / outhouses if you are out a lot! Rumi's Gift Oracle Cards by Ari Honarvar 9780764354540 (Mixed media product, 2018) Delivery UK delivery is usually within 10 to 12 working days. International delivery varies by country, please see the Wordery store help page for details. The Mandate of Heaven focuses on the story of the I Ching's origins. The Mandate of Heaven. the I Ching. Explores concepts and images of the I Ching. Bundle of two books. Heaven, Earth, and Man. CLEARING SPARE ROOM_.